What is a House Based Talisman Really? 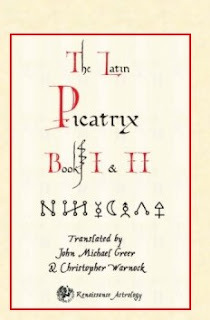 We really debated back and forth whether to put our English translation of the Latin Picatrix Books I & II on Amazon. On one hand Amazon takes a big chunk of the profits, but on the other hand, being on Amazon makes a book so much more accessible to a huge audience. We decided that ultimately, we wanted Picatrix to have the widest possible distribution. So now Picatrix books I & II are available directly from Amazon! Gosh, we have reviews, look inside the book and everything! Plus a significant discount, now just $42.99, 22% off. Now it's great to get direct sales from the website and Amazon's not taking it's cut then, but frankly I personally buy a lot of stuff from Amazon. I like the super-saver shipping and Picatrix qualifies for that if you buy it with another book, hey how about Secrets of Planetary Ritual, our translation of the lengthy Sabian planetary invocations from Picatrix book III? Follow the links from this post and we get Amazon Affiliate credit, which is nice! We are really chugging along on the Picatrix translation, folks! Help us get over the hump on books III & IV by getting a copy of our earlier translation and other books. I was asked recently what spirits we invoke when consecrating a house based talisman versus a planetary talisman. This is actually a very good question actually since it gets to the root of what a house based talisman really is. A planetary or fixed star talisman is pretty straightforward. A planet or fixed star has certain attributes, eg Jupiter, wealth; Venus, love and if we make the talisman of the planet we can get those virtues. Equally straightforward is the idea that we invoke the spirit of the planet or star for its talisman. A house based talisman, however, is more difficult to get your head around. When we make a talisman based on the 2nd house for wealth or 10th house for fame, what exactly are we doing? I like to think of the planets as a repertory theater, with 7 actors, the 7 planets and 12 roles they can play, the 12 houses. Each of the planets can rule any of the 12 houses and do it well, if they are dignified. Some planets are type cast. Having Jupiter do a wealth talisman would be like having John Wayne do a Western. 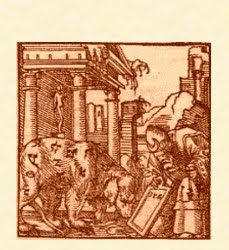 Then we note that in making a house based talisman, in particular the anti-scorpion talisman, we are advised to "let there be writ upon the image the name of the ascendent, of the Lord thereof, and of the Moon, and of the lord of the day, and of the Lord of the hour." Three Books of Occult Philosophy Bk II, ch 50. Basically we are reverse engineering here, deducing the fact that you invoke the spirits whose symbols you write on the talisman. And logically there are spirits of the 12 houses, but I haven't seen any listing of them. Still sticking with the planets who rule the houses even when looking at a house talisman makes sense because this is what you do in traditional astrology, look to the house ruler. The planets are the true actors whose power is filtered by the nature of the signs they are in. Now an additional option would be to use the name of the spirit of the election. Typically we think in terms of Agrippa's explanation in Three Books of Occult Philosophy Bk III, ch 26 of the name of the spirit of a chart as relating to birth charts. But this could be used for a house or other talisman as well in addition to the planets involved.